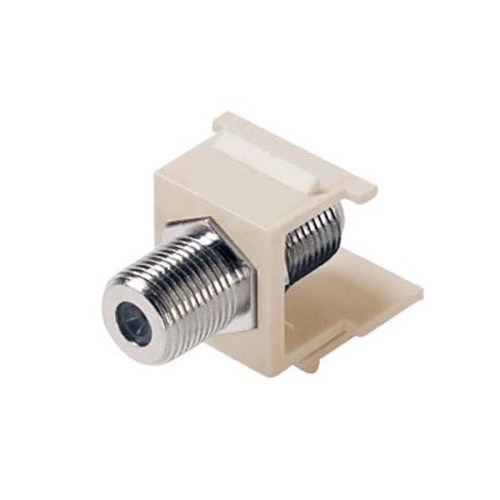 This F-connector module snaps into QuickPort Keystone wall plates. The F-connector module is used for connecting video equipment. Attach any F-connector equipment cords and cables with ease and simplicity. Please Note: This wall plate insert is Light Almond, not White.